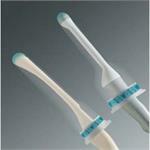 Eclipse Probe Covers are pre-gelled inside with Aquasonic® 100 Ultrasound Transmission Gel. Fits most endocavity ultrasound probes. 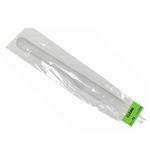 These Ultrasound Probe Covers are acoustically transparent, minimizing distortion during scanning. These economical Ultrasound Transducer Storage & Transport Covers minimize contamination from incidental contact and airborne contaminants including bacteria and viruses.